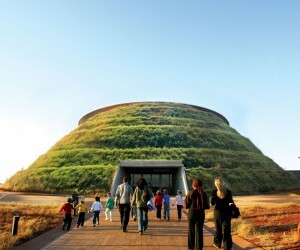 Wednesday, 7 November is WTM World Responsible Tourism Day 2012, providing a platform to create awareness about living, travelling and doing business responsibly and Maropeng has called on the industry and tourists alike, to take collective accountability for responsible tourism, and make a contribution towards preserving South Africa's natural and cultural heritage for future generations. The day is celebrated around the world with special events, communications and consumer promotions, demonstrating the industry's determination to make a real difference. Responsible tourism is a way of doing business that ensures tourism operations have a positive effect on the local people and the community. It creates better places for people to live and better places to visit," says Tony Rubin, Managing Director. He adds that responsible tourism can be practiced by tourists who make conscious, responsible choices when making holiday plans by choosing facilities that have a proven responsible tourism track-record, ensuring their activities don't negatively impact the natural environment. "As one of only eight World Heritage Sites in South Africa, sustainability and responsibility has always been a top priority at Maropeng and we have implemented initiatives to ensure this throughout the year," Rubin elaborates. From careful recycling and consistently making sure the area is waste-free, to water conservation technology and training staff in the ways of being eco-friendly, Maropeng has implemented a number of initiatives to reduce its carbon footprint. It also supports all official environment awareness initiatives on the global calendar. Arbor Day, World Wetlands Day, and National Water Week are just a few of the initiatives it has supported this year. Furthermore the new Green Globe App has been well-received as another responsible tourism move. It is available as a free download at the Apple App store under the Travel category, and is the only mobile application for Apple iPads, iPhones and iPods that allows travellers to instantly search for sustainable resorts, hotels, conference centres, attractions, tour experiences and wedding options. It has been launched through an exclusive partnership between Heritage and Green Globe Certification. "The App also benefits conference organisers and enables users to quickly locate conference facilities for 'green' meetings," comments Rubin. "Having all of the necessary conferencing facilities is one thing. Being able to provide guests and delegates with a unique and memorable experience at a venue that is an advocate for responsible tourism is something very few venues are able to do." 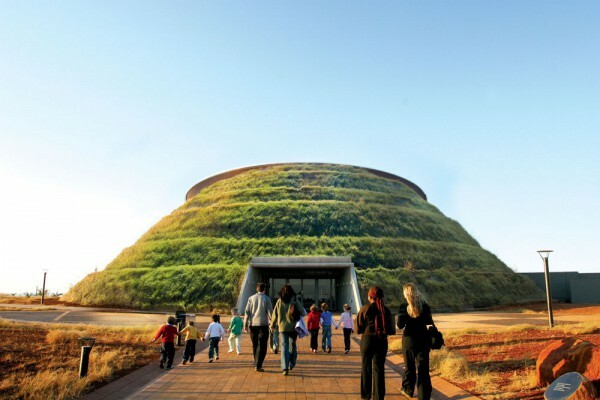 Facilities at Maropeng include an award-winning visitor centre, a 24-bedroom 4-star Boutique hotel, conference facilities for smaller niche corporate groups, an outdoor amphitheatre housing up to 10000 people, budget accommodation at the Hominid House, and four restaurants.